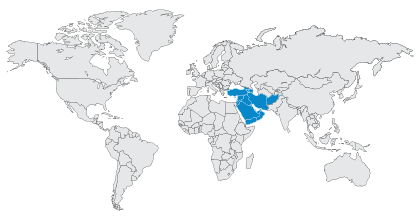 Monday, September 10, 2018 - Dubai, UAE - StarLink, the fastest growing “True” Value-Added-Distributor (VAD) in the Middle East, Turkey and Africa (META) region today announced signing of distribution partnership with Fidelis Cybersecurity to become the main distributor for Fidelis’s deception solutions across META. Fidelis joins StarLink’s channel network of IT security and specialised partners to offer intelligent deception solutions to enterprises. This platform dramatically improves the effectiveness and efficiency of security operations by delivering comprehensive visibility, intelligent deception, automatic alert validation, and increased response across network and endpoints. The new Fidelis Deception Module delivers a deception defence platform that extends visibility and detection deep into the network, learns new attacker techniques and better defends organisations’ critical data assets. StarLink’s channel network has a dedicated team to support new and existing resellers, and the partnership will help extend Fidelis’ channel base in the region. Based on customer demand and market needs, StarLink will offer Fidelis Cybersecurity product portfolio mainly focusing on deception solutions. 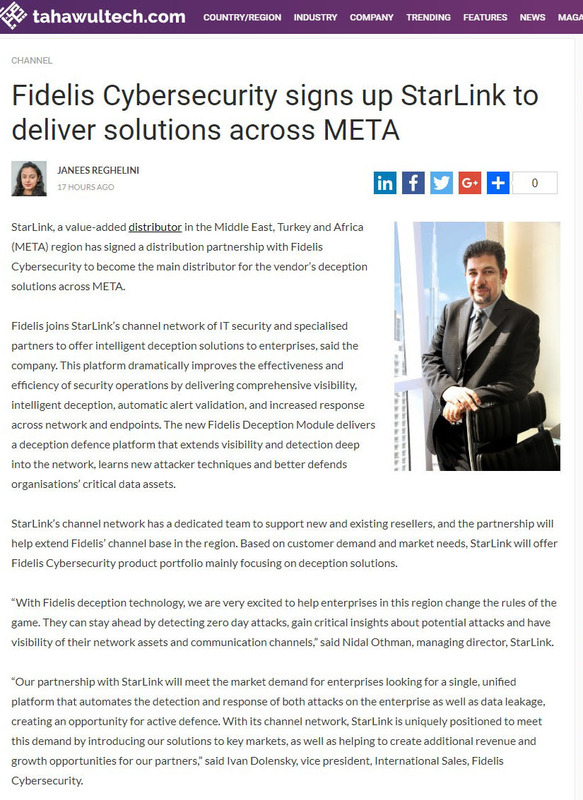 Ivan Dolensky, Vice President of International Sales at Fidelis Cybersecurity Said, “Our partnership with StarLink will meet the market demand for enterprises looking for a single, unified platform that automates the detection and response of both attacks on the enterprise as well as data leakage, creating an opportunity for active defence. 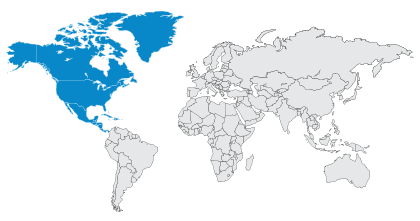 With its channel network, StarLink is uniquely positioned to meet this demand by introducing our solutions to key markets, as well as helping to create additional revenue and growth opportunities for our partners,"
Fidelis is the leader in automated detection and response. The Fidelis Elevate platform dramatically improves the effectiveness and efficiency of security operations by delivering comprehensive visibility, intelligent deception, alert validation, and automated response across network and endpoints. Fidelis is trusted by the most important brands in the world. See what you’ve been missing.